India's first Tiger preserve project was started in Jim Corbett National Park, which is situated in Nainital, Uttarakhand. 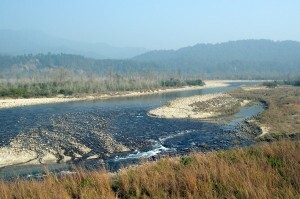 Jim Corbett National Park was named after a famous man-eater hunter Jim Corbett. Project Tiger was launched to protect the species of Bengal Tigers basically. 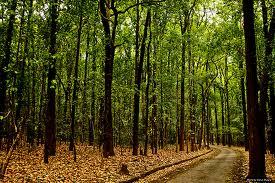 Corbett National Park is being considered as a home of variety of flora and fauna. 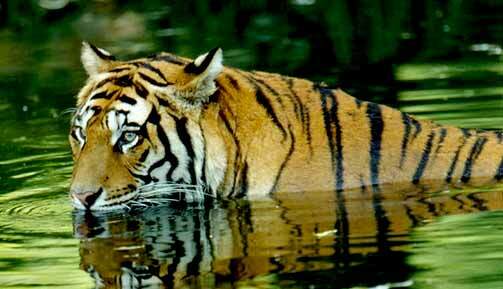 Corbett National Park is famous for wild population of Tigers, Elephants and Leopards. In the Park, there are around 110 tree species, 25 species of reptiles, 580 species of birds and 50 species of mammals are reserved. Jim Corbett National Park is considered as heaven for tigers and other wild animals. It includes around four kinds of deer and wild Boar. Big Cats that are being reserved in the park are Leopard Cat, Jungle Cat and Fishing Cat apart from Bengal Tiger. Leopards & Himalayan Black Bear are mostly seen in the hilly region of the park while lower regions is for Sloth Bear. The Dole or Wild Dog, Jackal, Himalayan Palm Civet can be found in the Park. Elephants and Tigers are the main attractions of Jim Corbett National Park. In Jim Corbett National Park, fishing & angling are allowed at Ramganga river sideshore but with the prior permission from forest officials. Mahaseer is a kind of fish, which immediately grabs the bait. This is being named as game fish due to fun while fishing. The long-snouted, fish-eating gharial crocodile and the 'mugger' crocodile can be seen along the Ramganga River shores. Flora that can be commonly found at the Corbett National Park are rohini, karipak, ber, dhak, simal, grewia, bael, kurha, jhingan, marorphali, khair, bakli, tendu, pula, sain etc. The nullahs and ravines that go deep into the Corbett forests have clusters of bamboo thickets and common green shrubs. The Corbett National Park opens at 0600 hrs in the morning till 1100 hrs late morning, and then it starts around 1430 in the afternoon till late evening 1730. For Jungle safari, elephants and Jeep facilities are available. If want to enjoy more freely, then have Jeep Safari. It is all time better option.